Human resources can be a massive undertaking, whether you’re the head of a small business, the team leader of a start up, or even in charge of a massive corporation. It's never easy—so much is involved. It’s no wonder that more and more businesses have been outsourcing HR. Sometimes a simple decision can make a huge impact on how a company operates, effecting the brightness of its future. In this case, outsourcing HR could make a massive difference in your budget. Here are some reasons why. 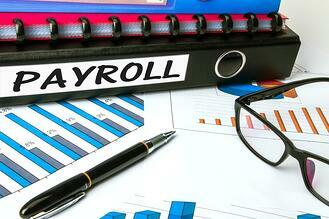 Human resources and payroll are two of the most highly specialized, and expensive, areas of business. Because of that, only the largest companies with the biggest budgets can truly afford all the people they need to deal with those tasks effectively. Many smaller companies come up short, forced to make due with the limited resources that they have. This might mean one or two people working full-time to accomplish the job, or one person working part-time, which not only puts a strain on that one employee, but everyone else, too. For those companies that do make room in the budget for more people, they're sacrificing what little margin they have to deal with a peripheral. Not to mention the cost of hiring these specialized employees is also a cost many small businesses and startups can't bear. When you consider outsourcing HR, you're looking in an excellent direction when it comes to cutting costs. Effectively, an HR provider is a third-party company that can handle any and all HR tasks that come their way for a single, agreed upon fee. Because this is their sole duty, they have all the resources needed to complete the job, meaning you get the expertise of a full team without the cost of one. You also save on training, since HR provider stay up-to-date on any and all changes in the field—which means they can handle anything you throw at them, regardless of policy changes and legal updates. Your people are your most important asset and that's why, as a small company, you don't want to pile the duties of three employees onto one. As evidenced by any successful business, when you overwork an employee, the quality of work tends to suffer, and the same is true when it comes to human resources. When you have one or two people doing a job that can require a whole team of people, it can lead to mistakes and other errors that end up costing big in the long term—legally, financially, reputation-wise, and more. 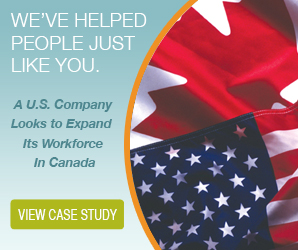 One of the best aspects of outsourcing HR is the ability to leverage one of your most valuable resources—your people. Instead of being bogged down by paperwork, your employees can expand their know-how and challenge themselves by taking on more critical objectives. With the extra money and time saved, you can hire more talent and invest in your company’s growth. You can attract better employees by being able to offer benefits or have your workers focus on operations instead of day-to-day peripheral work. Outsourcing HR is a great way to make the best of your resources. Staying compliant can be a difficult thing, especially as laws and policies seem to change monthly. A lot of smaller companies struggle with compliance, since they can't necessarily afford to hire a full-time lawyer to keep an eye on everything. This means the duty of remaining compliant tasked to an overworked human resources team and that's when costly mistakes can occur. The best thing you can do for your company is to consider outsourcing HR—not just for the time and cost savings, but for the legal protection it offers. They're experts in the law and can ensure the best protection for your company.